Imagine you’re fresh out of school, broke and hunting for your first teaching job. Then a school district offers you a job paying $70,000 a year. Afterward, you meet Joshua Gill from the Lower Kuskokwim School District in rural Alaska and he offers you a job paying $52,000 a year. “For a kid coming out of school, that’s an $18,000 difference,” Gill said. $70,000 dollars a year for a new teacher may be surprising but Gill said that actually happened when he was recruiting in the Lower 48 this spring. He is in charge of hiring people for his district. He said school districts offering more money get to take their pick. But, recruiting is just part of Alaska’s challenge. Toni McFadden said the bigger problem is there are fewer teachers. “Nationwide our country is facing a severe teaching shortage,” McFadden said. With only a few weeks to go until the new school year begins, about half of Alaska’s school districts are still looking for a couple hundred teachers and special educators to hire. McFadden is with Alaska Teacher Placement. 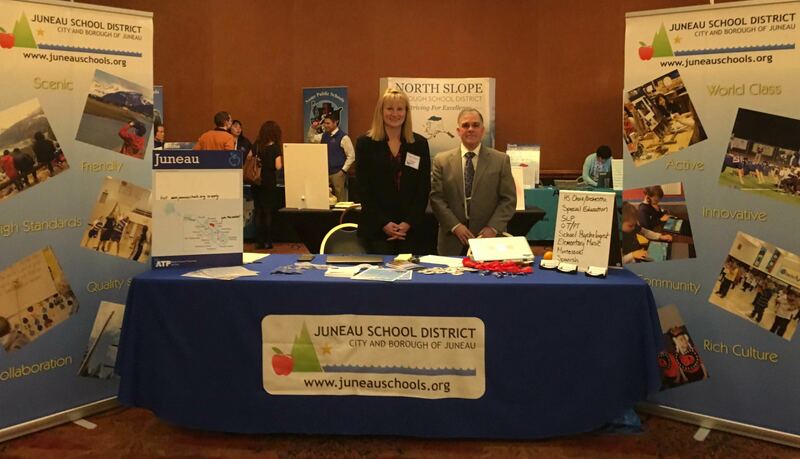 She helps connect teachers with Alaska school districts. That partly means holding job fairs. Their biggest one of the year drew between 200 and 250 people. McFadden said Alaska school districts hire about 800 teachers from out of state each year. Close to 200 more come from within the state. Alaska Teacher Placement counts 155 open teaching positions and 90 special education positions across the state as of August 4. “We’re looking at weeks before school starts and we have 90 elementary teacher positions that we need,” McFadden said. According to McFadden about half of the state’s school districts still need teachers. She said that’s similar to last year. “We’ll have substitutes in classrooms getting the year started with children when it’s so important to have their teacher there establishing routines and getting learning started,” McFadden added. Another piece of the problem is teacher turnover. Just ask Dayna DeFeo, a researcher with the Center for Alaska Education Policy Research. That money comes from things like recruitment costs, hiring, training and teacher productivity. DeFeo said between 2013 and 2014, out of the 1,095 teachers who left jobs in their districts, 87 percent stopped teaching in Alaska. DeFeo said 80 percent of teachers who leave rural Alaska leave the state education system. She doesn’t have more recent numbers but said that was a steady trend for five years. Todd Hess, head of human resources for Anchorage School District, said he knows teachers who claimed they were leaving the state because of uncertainty over Alaska’s education funding. Earlier this summer, the Anchorage School District sent layoff notices to about 200 teachers while they waited for the Legislature to pass an operating budget and decide how much money Alaska schools would have for the 2017-2018 school year. 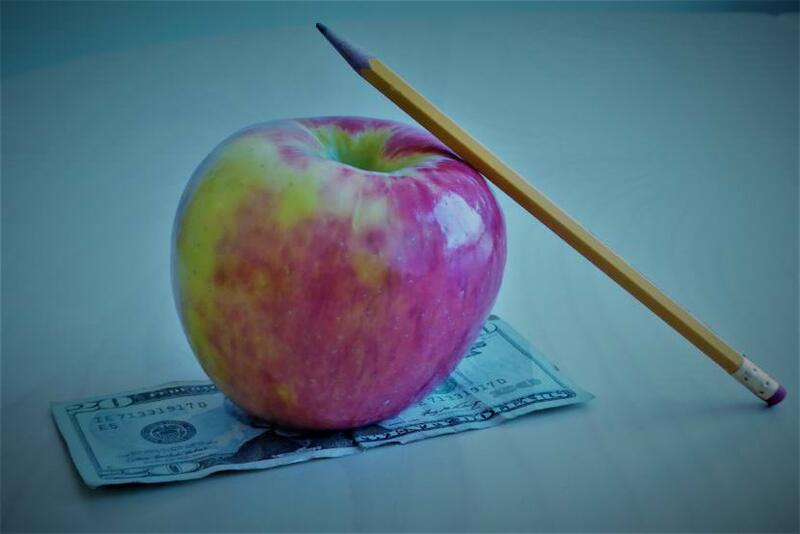 When legislators passed the budget days before the start of the new fiscal year, the district canceled the layoff notices, but not before stressing out a lot of educators. Meanwhile, DeFeo said in the Lower 48, there’s a stronger economy, growing teacher salaries and a short supply of teachers, making a “perfect storm” for teacher recruitment in Alaska.